Less than half of working-age Canadians with physical and mental difficulties have a job, a significantly lower percentage than the general population, according to Statistics Canada. A data agency report released Wednesday coincides with International Day of Persons with Disabilities, a UN sanctioned day to raise awareness. The report covers data from 2011 indicates 49 per cent of Canadians between ages 25 and 64 who said they have a disability could find employment. That compares with a 79 per cent employment rate among the general working-age population. "Canadians with disabilities include those with a physical or mental disability related to seeing, hearing, mobility, flexibility, dexterity, pain, learning, development, psychological/mental disorders or memory," the agency says. About two million people across Canada self-identify in that category — about 11 per cent of Canada's entire population for that age group. Out of those more than two million people, only about a million of them have some sort of job. - Mild disability — 68 per cent employment rate. - Moderate disability — 54 per cent. 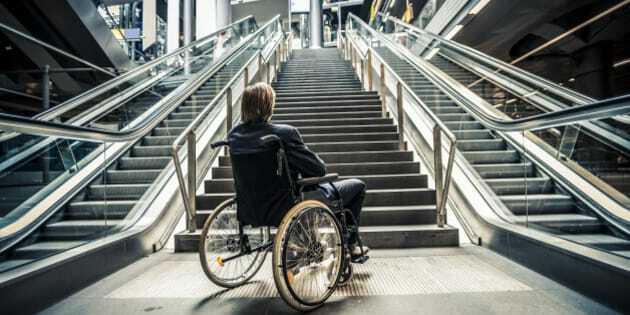 - Severe disability — 42 per cent. - Very severe — 26 per cent. Generally speaking, the more severe the disability, the less likely an individual with get work. Having a university degree seems to increase the odds of finding employment, even among those with disabilities that might otherwise hinder their job searches. Employment rates for university graduates with mild, moderate and severe disabilities weren't that far off from the rate for those without any disability — the rates for all the categories ranged between 77 and 83 per cent. But the employment rate of university graduates with a severe or very severe disability was lower, at 59 per cent. Education is clearly a factor in employability across all groups, and the numbers suggest that's especially true for Canadians with disabilities. Among those with a severe or very severe disability and less than a high school diploma, the employment rate was only 20 per cent. That compares to a 65 per cent employment rate for the population at large of Canadians who didn't finish high school. People with disabilities often earn far less than their Canadians without a disability — even when doing similar work.